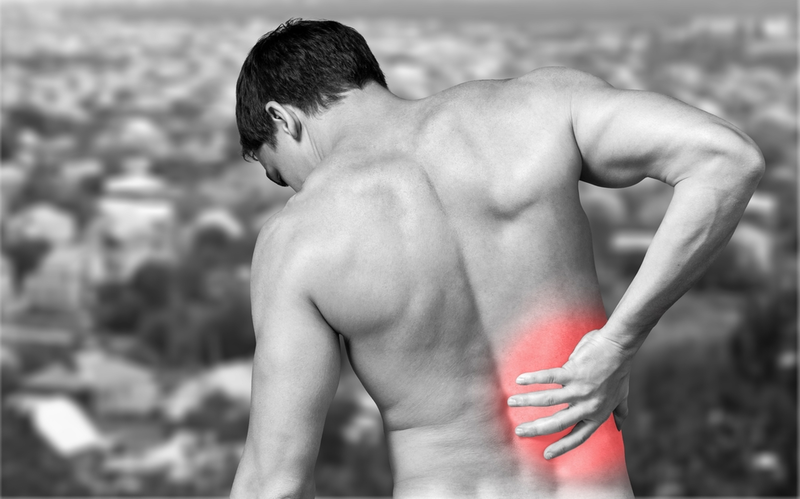 As Chien and Bajwa(2008)pointed out, one of the most common maladies in our society today is back pain and 97% of the time, the pain is considered mechanical back pain. That is pain that arises from things other than fractures, tumors or infection and is one of the leading causes of visits to primary care medical doctors. Peterson, Bolton and Humphreys (2012), Baliki, Geha, Apkarian, and Chialvo (2008), and Apkarian et al. (2004) all agreed that at any given time, upwards of 10% of the population suffers from back pain and upwards of 80% of those back pain sufferers have chronic problems. For pain to be considered chronic, it must persist for greater than 6 months. The problems that exist regarding chronic back pain are compounded by an unsuspecting public that historically, initially seeks care from their primary care medical providers who do not have strong grasps on mechanical back pain. According to Apkarian et al. (2004), back problems constitute 25% of all disabling occupational injuries and are the fifth most common reason for visits to the clinic; in 85% of such conditions, no definitive diagnosis can be made. In other words, virtually every time a patient goes to see his/her primary care doctor as a result of his/her chronic back pain, the doctor does not know the cause of the problem, yet treats an area that he/she is not equipped to diagnose. When we look at the human population on a larger scale and from a medical perspective, we see there is a deficit in spinal education with resultant negative sequellae of chronic back pain. The above conclusion was drawn by querying allopathic (medical) doctors who have little to no training or experience in treating mechanical back pain, AKA spinal dysfunction of biomechanical origin, AKA chiropractic subluxation complex. Raissi, Mansoon, Madani, and Rayegani (2006) reported regarding medical providers. Most respondents (92.2%) believed that musculoskeletal education had not been sufficient in general practitioner training courses. Of the respondents, 56.8% had visited at least one disabled patient during the previous month, while 11% had visited more than 10 in the same period, but 84.3% had not studied disabilities. Musculoskeletal physical examination was the most needed educational field cited by general practitioners” (Raissi et al., 2006, p. 167). Day, Yeh, Franko, Ramirez, and Krupat (2007) reported that only 26% of fourth year Harvard medical students had a cognitive mastery of physical medicine. Schmale (2005) reported, “…incoming interns at the University of Pennsylvania took an exam of musculoskeletal aptitude and competence, which was validated by a survey of more than 100 orthopaedic program chairpersons across the country. Eighty-two percent of students tested failed to show basic competency. Perhaps the poor knowledge base resulted from inadequate and disproportionately low numbers of hours devoted to musculoskeletal medicine education during the undergraduate medical school years. Less than 1⁄2 of 122 US medical schools require a preclinical course in musculoskeletal medicine, less than 1⁄4 require a clinical course, and nearly 1⁄2 (57/122) have no required preclinical or clinical course. In Canadian medical schools, just more than 2% of curricular time is spent on musculoskeletal medicine, despite the fact that approximately 20% of primary care practice is devoted to the care of patients with musculoskeletal problems. Various authors have described shortcomings in medical student training in fracture care, arthritis and rheumatology, and basic physical examination of the musculoskeletal system (p. 251). With continued evidence of a lack of musculoskeletal medicine and a subsequent deficiency of training in spine care, particularly of biomechanical (subluxation) orientation, the question becomes, “Which profession has the educational basis, training and clinical competence to manage these cases?” Let’s take a closer look at chiropractic education as a comparison. Fundamental to the training of doctors of chiropractic is 4,820 hours (compared to 3,398 for physical therapy and 4,670 to medicine) and students receive a thorough knowledge of anatomy and physiology. As a result, all accredited doctor of chiropractic degree programs focus a significant amount of time in their curricula on these basic science courses. It is so important to practice these courses that the Council on Chiropractic Education, the federally recognized accrediting agency for chiropractic education, requires a curriculum which enables students to be proficient in neuromusculoskeletal evaluation, treatment and management. In addition to multiple courses in anatomy and physiology, the typical curriculum in chiropractic education includes physical diagnosis, spinal analysis, biomechanics, orthopedics and neurology. As a result, students are afforded the opportunity to practice utilizing this basic science information for many hours prior to beginning clinical services in their internships. To qualify for licensure, graduates of chiropractic programs must pass a series of examinations administered by the National Board of Chiropractic Examiners (NBCE). Part one of this series consists of six subjects, general anatomy, spinal anatomy, physiology, chemistry, pathology and microbiology. It is therefore mandatory for a chiropractor to know the structure and function of the human body as the study of neuromuscular and biomechanics is weaved throughout the fabric of chiropractic education. As a result, the doctor of chiropractic is expert in the same musculoskeletal genre that medical doctors are poorly trained in their doctoral educationas referenced above. 2. Peterson, C. K., Bolton, J., & Humphreys, B. K. (2012). Predictors of improvement in patients with acute and chronic low back pain undergoing chiropractic treatment. Journal of Manipulative and Physiological Therapeutics, 35(7), 525-533. 4. Apkarian, V., Sosa, Y., Sonty, S., Levy, R., Harden, N., Parrish, T., & Gitelman, D. (2004). Chronic back pain is associated with decreased prefrontal and thalamic gray matter density. The Journal of Neuroscience, 24(46), 10410-10415. 5. Raissi, G. R., Mansoon, K., Madani, P., & Rayegani, S. M. (2006). Survey of general practitioners’ attitudes toward physical medicine and rehabilitation. International Journal of Rehabilitation Research, 29(2), 167-170. 6. Day, C. S., Yeh, A. C., Franko, O., Ramirez, M., & Krupat, E. (2007). Musculoskeletal medicine: An assessment of the attitudes of medical students at Harvard Medical School. Academic Medicine, 82(5), 452-457. 7. Schmale, G. A. (2005). More evidence of educational inadequacies in musculoskeletal medicine. Clinical Orthopaedics and Related Research, 437, 251-259. 8. DeVocht, J. W., Pickar, J. G., & Wilder, D. G. (2005). Spinal manipulation alters electromyographic activity of paraspinal muscles: A descriptive study.Journal of Manipulative and Physiologic Therapeutics, 28(7), 465-471. 9. Whedon, J. M., Mackenzie, T. A., Phillips, R. B., & Lurie, J. D. (2015). Risk of traumatic injury associated with chiropractic spinal manipulation in Medicare Part B beneficiaries aged 66-69 years. Spine, 40(4), 264-270.